This park is kind of weak, there is one ledge, one rail, one pyramid, a three stair and 3 foot half bowl and some small banks and ¼ pipes. It does have a bowl too that is 4 to 6 feet deep with a spine, hips, elevation changes and a pump hump to keep up your speed. 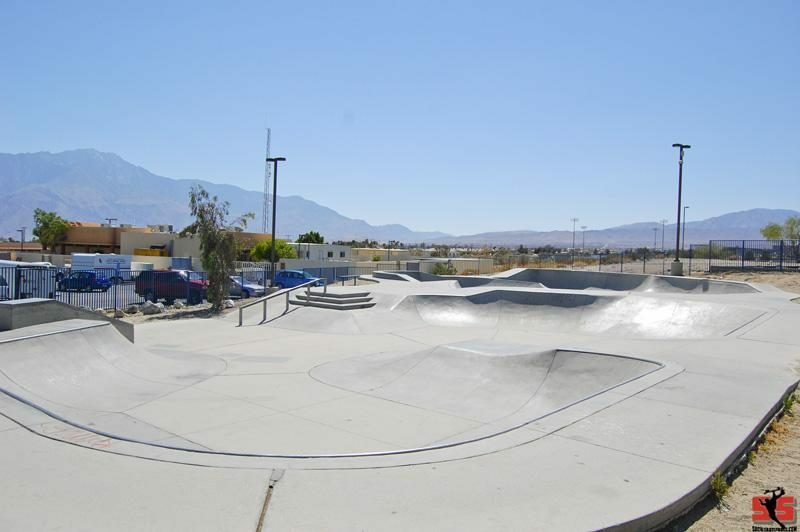 It looks better than it skates, the trannie’s are kinked and lumpy but if you’re in the neighborhood or on your way to the Palm Springs skatepark it’s a free skate with no pad nannies.